Learning Reactions (2): How Do Electrons Move? If that’s #1, then what’s the second most important question to ask yourself? Once you understand which bonds and break, understanding electron flow is really where the rubber meets the road in organic chemistry. In a chemical reaction, we’re forming and breaking chemical bonds, which are pairs of electrons shared between two atoms. The process of breaking and forming bonds is going to change the charges around each atom, at least momentarily. So if we want to have a deeper understanding of chemical reactions, we need to understand how this happens. Every chemical reaction is a transaction of electrons between atoms. If you understand how to recognize where the electrons are (and aren’t), and can draw a series of diagrams that show how the electrons flow from atom to atom, depicting bond-forming and bond-breaking events in detail, then you’ll have a much better understanding of What Is Going On. electronegativity is an atom’s ability to stabilize negative charge. In other words, it’s an atom’s “greediness” for electrons. How can we look at a molecule and tell where the electrons are (or aren’t)? Also, why is “formal charge” not the same as “electron density”? 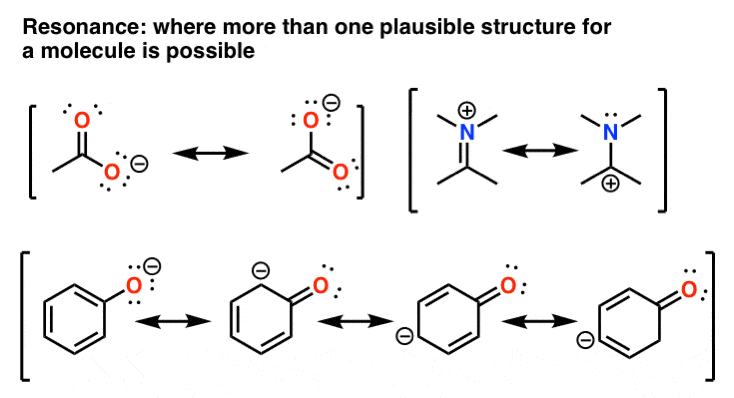 How can we use electron densities to tell plausible (or implausible) reactions? Resonance. What the hell is it? How do we tell which resonance forms are significant and which are not? Since electrons are the “currency” of chemistry, it makes sense to have an accounting system, right? So we’ll see how to apply the accounting system of organic chemistry (the curved arrow formalism) to show electron flow in detail. EDIT: Jess rightly points out that “formal charge” is also a form of accounting. That’s absolutely true – and very important! Finally we can then apply all of these tools toward understanding simple reactions, especially acid-base, substitution, addition and elimination reactions. This is going to open up a whole new set of questions! But it will at least lay the foundations for a deeper understanding of organic chemistry. Oh yeah, that’s absolutely true. Editing the post to reflect that. Thanks ! 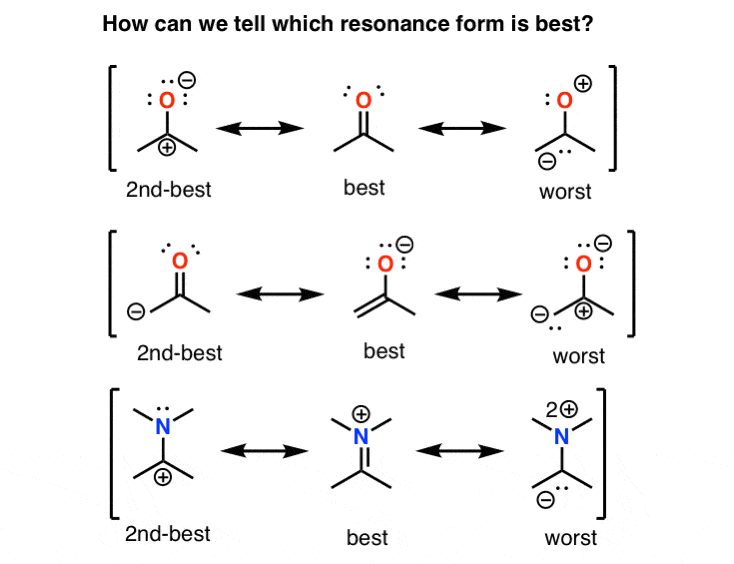 Check the bottom right structure on “How can we tell which resonance form is best?” The nitrogen should be *doubly* cationic, no? Crap you are right. Fixed! thanks for the spot. Do you have a page on MO theory? I wanna really understand the anti-bonding, bonding, and the *. My professor does research and goes really in depth conceptually on exams. Thank you, i appreciate the work you do.